I love BOB strollers! They are sporty, stylish and high quality. This time BOB has release a new stroller called Revolution Flex. This new model is an upgrade to the beloved Revolution SE. The only difference between the two is the adjustable handle bar that people have been asking for a LONG time. That’s it! The handle bar has 9 different positions and goes from 34″ up to 45″ from the ground. I can’t believe that they gave it a different name because of the handle bar. BOB has already many similar models like SE, CE and Strides Fitness to choose from. Now, parents will be confused even more. They should have just released it with the same name as an upgrade for 2014. The other thing that is new are the colors. Flex comes in four different colors with silver or black frame. It also has a huge oversized canopy, very room seat, 5 point harness, large basket, and easy fold. But the most important feature of Flex are the large air-filled tires and the state-of-the art suspension system that makes the ride super smooth. These tires can go through anything! That’s why this is THE BEST jogging stroller on today’s market. Just like SE it weighs only 25 lbs which is an average weight for a jogger. I gave Flex 5 out of 5 stars because it’s just as great as SE model. The adjustable handle bar makes it even better. Now, I have almost nothing to complain about, but I would like to see an automatic lock. I also absolutely love the new sporty colors especially with that black frame. I noticed that more and more companies do black or white frames instead of the boring silver. It retails for around $370 on Amazon (free shipping/free returns and no sales tax). Double version is also available. -HUGE canopy. Just like SE model Flex has a great canopy. It has two panels that go way down providing a lot of shade. The canopy has a large peekaboo window made out of clear plastic. The closure still has the noisy Velcro. BOB take notes. We would like to see a magnetic closure on the next model. Anyways, comparing to a lot of other joggers this is one of the best canopies on the market. -Adjustable Handle bar. Finally, BOB decided to listen to the parents and update the handle bar. Now, it’s adjustable with 9 different positions and goes from 34″ up to 45″ from the ground. Shorter and taller parents will be happy :) It’s worth mentioning that handle bar is nicely padded with foam cover. -Roomy seat. The seat is 14.5″ wide and 23″ high from the bottom of the seat to the top of the canopy. The nice padding of the seat will provide your child with maximum comfort and support. It has a deep recline that goes to almost flat position. This is NOT my favorite strap recline system because it has two (not one like on most other stroller) straps, one on each side, that you need to adjust. You will have to use both hand to recline it and both hands to bring the seat back. With the most popular strap-recline you need only one hand to recline it. Of course I would like to see an one-hand lever recline instead of all of those annoying straps. The seat can accommodate a child from 6 months and up to 70 lbs (till college.LOL). The material is very durable and is easy to wash.
-Storage in the back of the seat. If you like me, you will need all the storage you can get for all the baby crap you need to take with you. Sometimes I feel like I’ve packed half of the house just to go to the park. And lately my little angels who is a toddler now, refuse to eat in the evening. So, I usually take the whole dinner to the park and try to feed her there why she is running around. More stuff! The zipper pocket in the back of the seat offers more storage for small items. -Large basket. It’s nice to have large basket for all your stuff. Most joggers have small baskets, so this is a big plus. It will definitely fit your large diaper bag. It’s also very easy to access from the back and the sides. -Large wheels. This stroller is all about the WHEELS. And this wheels are amazing! It rolls on three air-filled tires with 12″ wheel in the front and 16″ wheels in the back. The wheels are made out of high-impact polymer material. You will can easily take this one off road with no problems. Great for going to the park, beach, or just tackling snowy street. The front wheels are swivel, but can be locked straight for rougher terrain. -No Automatic lock. I guess BOB is still working on it. In the mean time, you will need to use a strap with a clip to lock it in place. I hope to see it in the next update. Baby Gizmo released a short video review of Revolution Flex. Here is a video review of Revolution SE model. It comes in 4 colors lagoon, orange, wilderness, and black with silver or black frame. If you want to see how SE model compares to other BOB strollers here is a great comparison chart. My favorite place to buy strollers and a lot of other baby items is Amazon. It usually has the lowest prices, free shipping, free returns and no sales tax. How great is that? The US MSRP for BOB Revolution Flex is $479.99, but I found it on Amazon only $370 (free shipping/free returns and no sales tax). Thanks. I’m curious if you’ve heard if BOB will release any new colors in their double/ Duallie for 2015? I’m just not into the Black, Orange or Navy Blue for my girls. Thanks for your excellent reviews! I love your website. I live in a big city and am looking for a great jogging stroller that also folds down compactly. Can you recommend one? Looks like this one is not it. 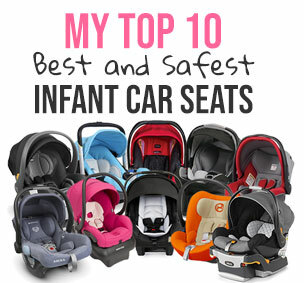 Any idea which Car seats would be compatible?